It would be truly amusing if a Chief Minister of UP were as funny and aspiring-to-coolth as Ravi Kishen in Lucknow Central. He wants to project his state as progressive; he also wants to be ‘trending’ and has with him two buttoned up sidekicks to advise him on social media. (Too bad that in real life, kids are dying in the state and crime is unmanageable.) So, he wants to hold a competition of jail bands, that will go viral, and impress Trump! The jailor at Lucknow Central is a nasty fellow (Ronit Roy), who suspects that the so-called band is just an excuse for Kishan and his cronies to escape and he is right. 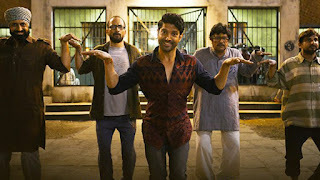 Kishan’s resilience gets him through the gangs and violence of prison life, as he goes about putting together his band of unmusical men--Dikkat (Inaamulhaq), Victor (Deepak Dobriyal), Parminder (Gippy Grewal), Pandit (Rajesh Sharma), all of whom have a special skill that would help in the escape. Shot in dark, filthy cells, the film’s realism ends there—Tiwari is not interested in showing the true state of Indian prisons. Watching this film, you’d think all the prisoners were innocent victims of the system, and the jailor, who is only doing his job, is the villain. He is cruel, but he is also the product of the same inhumane system; if a prisoner escapes, it is his neck on the line. Strangely, Tiwari paints life outside prison as unbearable for the men; inside they find friendship, trust and a kind of normalcy. The camaraderie between the five band-mates works, as they move towards the rousing, if predictable finale. 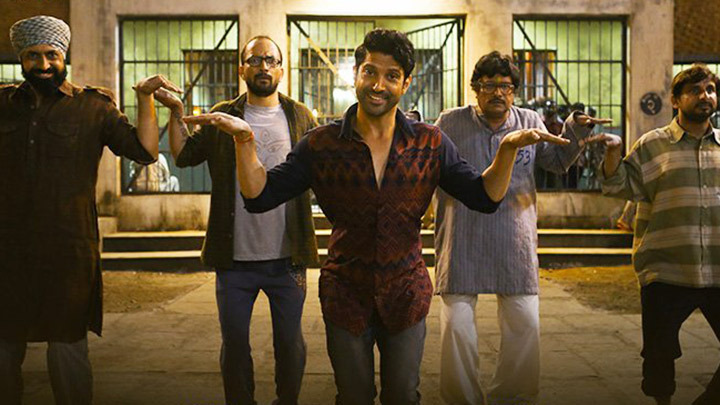 The film is loosely based on a real prison band that also inspired the recent Qaidi Band; this one is better, has decent music, and solid performances, even if Farhan Akhtar looks too polished to be an ordinary UP lad. With a little more effort, Lucknow Central could have been meaningful as well as entertaining-- as it is, the film is just ‘timepass’.